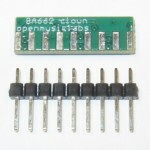 This is a pin-for-pin compatible replacement for the BA662 OTA. It has been tested in a x0xb0x, TB-303, JX-3P, and a Juno-106 and works identical to the original in those applications. But, it has not been tested in other circuits, so please only buy a few and test them first before buying more. 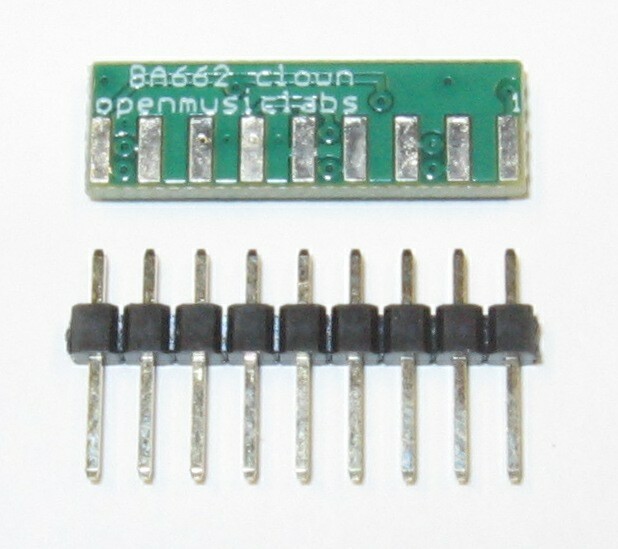 Also, you will need to solder pins onto the clone in order to attach it to your circuit. We are including square pin header, but these may be too large to fit into some PCB holes or sockets, so please check before soldering it on. If the square pin header did not work, let us know what you used to incorporate the clone into your project, and we will try to include the most common pins on future production runs. If you can leave comments in our forums, that would be greatly appreciated, so other enthusiasts can get an idea of which circuits it works in, and what are the best methods of attachment. Assembly instructions are up on our wiki.